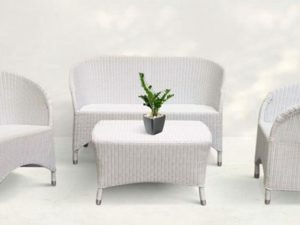 Bradford Living Set consists of several parts, viz. 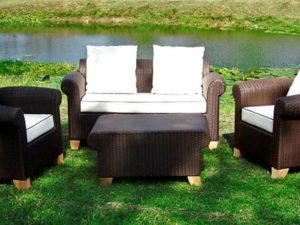 2 Bradford Arm Chair with Dimension 90 cm (h) x 68 cm (w) x 73 cm (d), 1 Bradford Sofa 2.0 Seater 90 cm (h) x 123 cm (w) x 73 cm (d) and 1 Bradford Table with glass 5mm standard 42 cm (h) x 98 cm (w) x 63 cm (d). 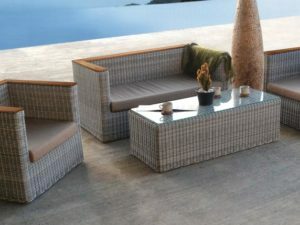 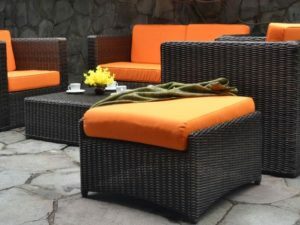 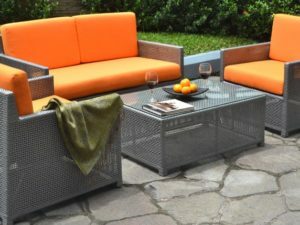 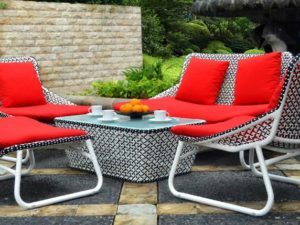 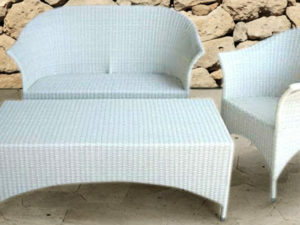 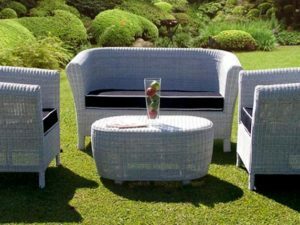 Bradford Living Set woven by synthetic rattan in White color and Black color in cushion.